My colleagues came home from Woofstock talking about a cool new product. I haven't tried it yet, but I will definitely check it out further. 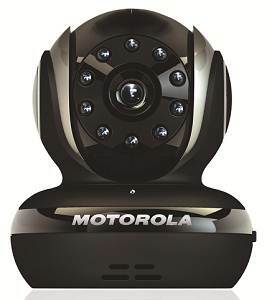 The Motorola Blink 1 is really a baby monitor, but can also be used for pets. It broadcasts audio and video over Motorola's secure server via Wi-Fi, and the feed can be watched on any internet device. There are apps for smartphones, tablets, and computers, and users can view their pet from anywhere. It's also possible to talk to the pet with two-way communication, and follow them through a remote pan, tilt, and zoom feature. The thing even has infra-red night vision, and can be set up to monitor the temperature so it doesn't get too hot or too cold.